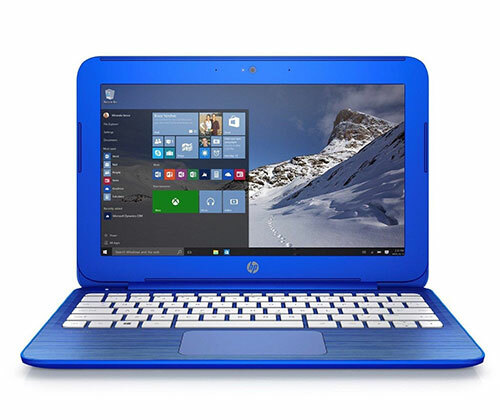 Home Tags Posts tagged with "HP"
The HP Stream 11 Pro G4 laptop with a 11.6” screen is a great choice for students who are on the hunt for a cheap, but a high-performance laptop, and it’s available in two different versions to choose from; Touchscreen and Non-Touchscreen. 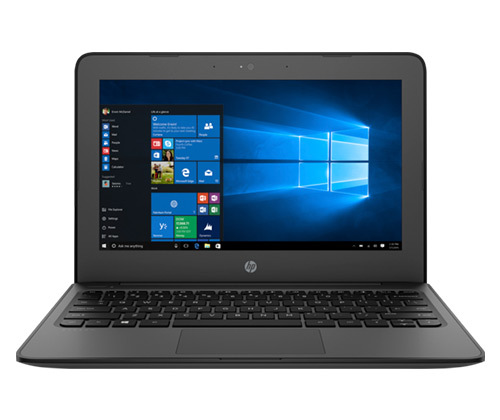 With a good processing speed and RAM, the HP Stream 11 Pro G4 provides the best experience on the market for students who are after a laptop to write essays, coursework and even to watch favourite shows during study breaks. If you’re looking for affordability and good performance, this is the one for you – so keep reading! 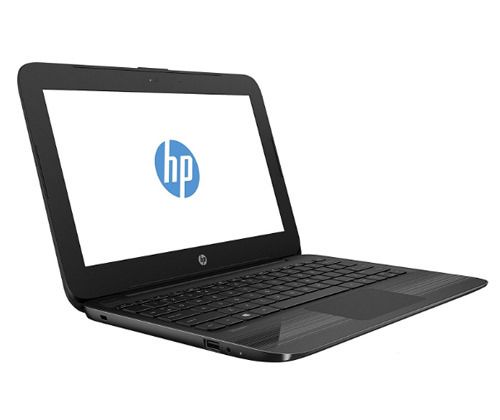 This beautiful HP laptop comes with a 11.6″ HD display and has a resolution of 1366 x 768. This lightweight device exceeds the expectations of its customers with its outstandingly portable design, best for everyday usage. The display seems to wash out the vibrant colours at high brightness, but overall at a relatively lower price point, this cheap laptop delivers better than most laptops out there and is available in touchscreen and non-touchscreen. The laptop itself comes in a standard Charcoal-grey finish with a more modern look than its previous models. The weight comes in a 2.84 pound while its thickest point being 0.7 inches. Since HP directed the production of this laptop more towards students, this HP Stream 11 Pro comes with a cool bezel design as well. Also, if you are a student, you are eligible for a 2% discount on the non-touchscreen laptop! 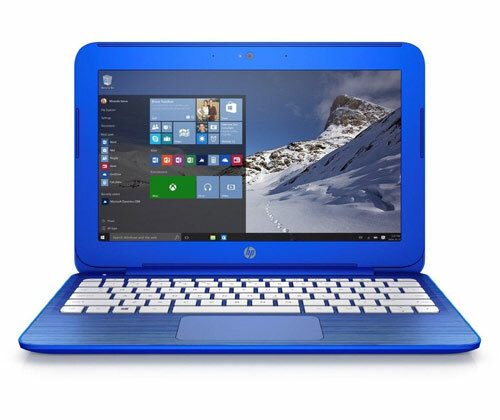 This cheap HP laptop is powered by Intel Celeron N3450 / 1.1 GHz Max Turbo Speed 2.2 GHz Processor. With 4 GB of RAM and 64 GB of storage, this laptop provides the best performance at a cheap price point. 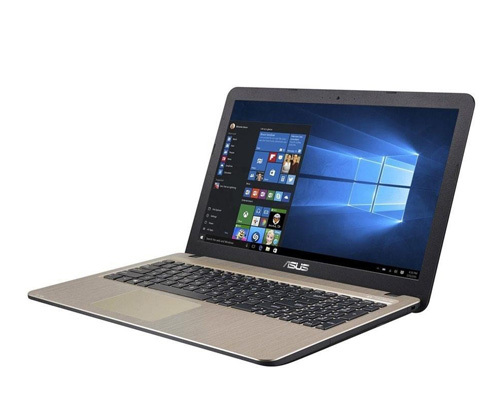 As this laptop is directed slightly towards the student community, it provides the best experience for students who are on a short budget, but want to get their hands on a good performance laptop. The laptop may get heated if you are playing games on it, but for light duty work, it’s ideal! The other version comes with a touchscreen which allows you to run your favourite apps right at your fingertips. The display is very smooth to use and provides seamless navigation during the usage of the laptop. This laptop features a Synaptics based trackpad which is buttonless and provides better and smooth navigation within the laptop. The precision of the laptop is up to the mark. However, it can cause slight troubles when scrolling with two fingers at the same time. Two bottom facing speakers are present on this laptop. The speakers and battery life are excellent for the price and it’s a lot better than other laptops in the market. With a two-cell battery, the battery timing of this laptop is pretty good. You can easily cop 6 to 8 hours on medium brightness. HP Stream 11 Pro G4 delivers better overall performance at a cheaper price than most laptops and is incredible value for money. Recommended to anyone low on a budget requiring a good performance laptop with moderate technical specifications. Looking for an alternative? 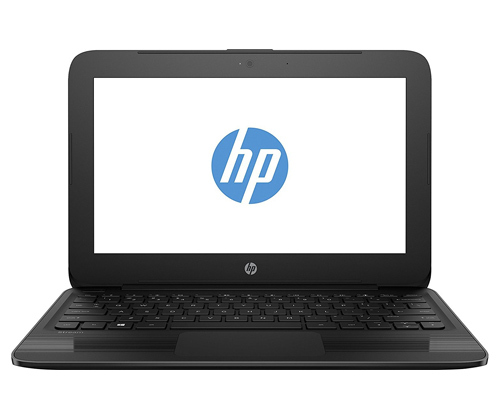 Shop all HP Laptops here. Need a low-cost, classroom-friendly laptop? You’ve come to the right place! 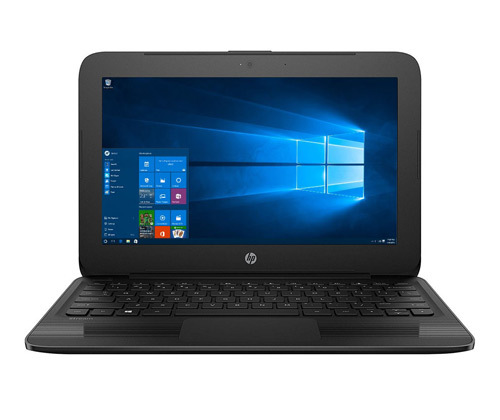 This HP Stream Pro 11 G3 laptop is designed for learning with WLAN for easy connectivity in the classroom, fast boot-up time and impressive processing power. Powered by an Intel Celeron N3060 dual-core processor, the laptop provides all the speed required to get things done. The 64GB flash storage means you can reach recently accessed files quickly for ultimate efficiency. 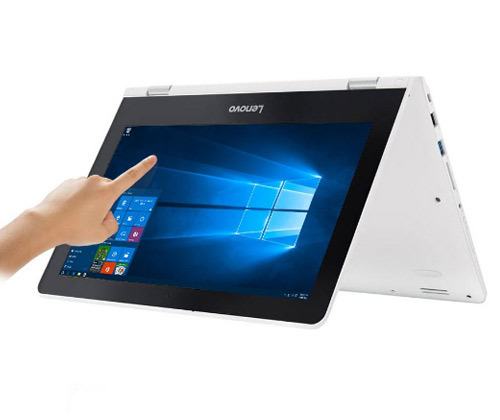 The crystal-clear 11.6” HD display is the perfect size for on-the-go productivity! 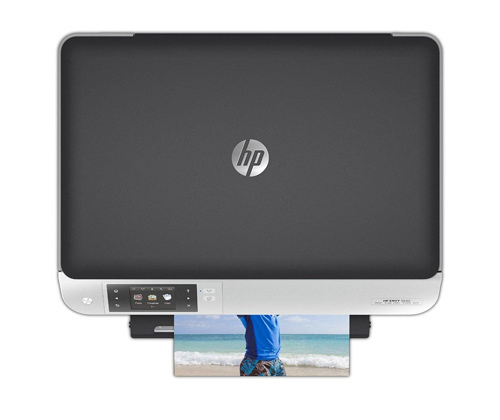 Featuring the HP TrueVision HD Webcam, the device allows you to effectively collaborate with your classmates and excel in your projects. 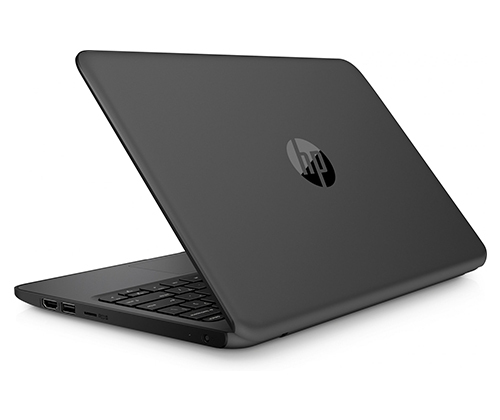 The advanced fanless design completes the HP Stream Pro 11 G3 – it runs quietly so that classrooms can remain focused! Looking for some spiced up video and gaming experience? 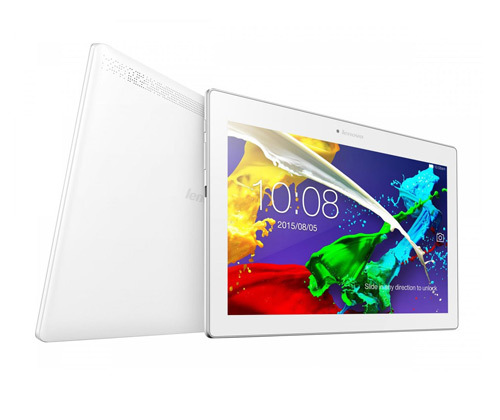 Check out the Lenovo Tab 2 A10-30 tablet! Featuring a vibrant 10.1” HD display, the device gives gaming and watching videos a brand new definition. Thanks to the dual-speakers and Dolby Atmos audio, you’ll be offered the most immersive sounds. Getting the cinema experience without leaving your house is totally possible! This Lenovo tablet will be your best companion if you’re always running around campus. The brilliant 7000mAh battery that lasts for 10 hours means endless productivity and entertainment without connecting the tablet to the charger! The Medion Life X5004 smartphone is on our list of the best student deals of April 2018 because of its almost unbeatable value for money! The 1.3GHz octa-core processor with 2GB of RAM is the reason for the exceptional performance of the dual-SIM smartphone. Together with Android 5.0 Lollipop, you’ll find the phone intuitive, highly responsive and utterly effortless. The 16GB of internal memory means plenty of room for videos, photos, music, apps, documents and more! The fact that the memory capacity can be expanded by up to 128GB using a microSD, microSDHC or microSDXC memory card frees you from worrying about your growing media collection. Protected by Corning Gorilla Glass, the Full HD display is vibrant and durable. With a 13MP rear camera and a 5MP front camera, the handset is perfect for photos, video conferencing and selfies! 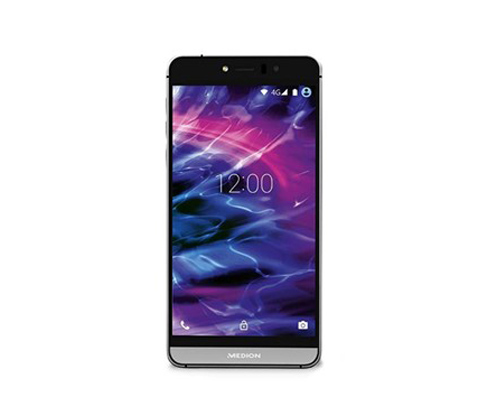 At only £144.99 and eligible for 10% student discount, this full-featured smartphone is tailor-made for students on a budget! 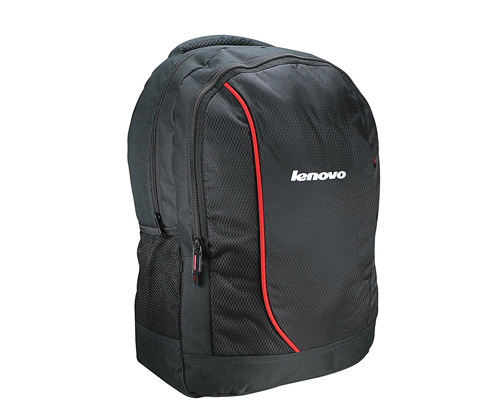 The ultimate laptop deserves the ultimate protection, and that’s why you need to get this original Lenovo backpack case! This spacious backpack case offers adequate space for your laptop, adaptor, mouse and daily belongings. The adjustable, padded shoulder straps provide utmost comfort, and the padded cushion at the back guarantees sufficient air flow – ideal for moving between classrooms! The backpack case is made of durable, water-resistant material so you won’t have to worry about your laptop getting damaged when you’re running around. Pick one up now if you’re after a sturdy backpack for university! Our round-up of the best student deals of April 2018 means it’s now the perfect time to grab some awesome tech deals! Who says students on a budget can’t enjoy the luxury of owning premium gadgets? Check here for even more amazing tech deals! Find out more about Laptop Outlet’s student discount here. Thanks to the flexibility of four modes, “Laptop”, “Tablet”, “Tent” and “Stand”, the Lenovo Yoga 300 can be either a laptop or a tablet whenever you want it! With the 360° flip-and-fold screen design, you can select the suitable mode accordingly depending on what you choose to do. Powered by an Intel Celeron N3060 dual-core processor, the 2-in-1 laptop makes effortless multitasking possible – you can totally chat with friends, stream music and work on your projects simultaneously! 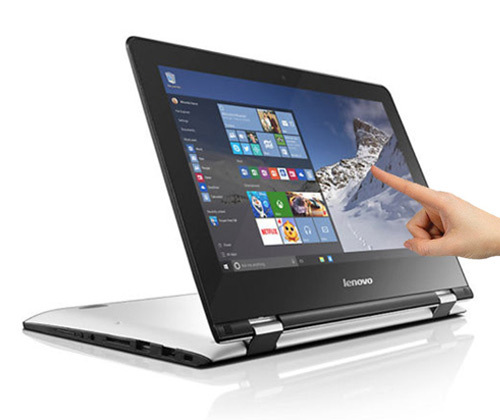 The signature portability of the Lenovo Yoga range completes this brilliant device. Weighing just 1.4kg with a thickness of only 21.6mm, the convertible laptop is made for doers on the go! The Lenovo Miix 510 is a laptop bound to attract attention like a magnet. The premium one-piece aluminium design gives the laptop a luxurious look. The detachable keyboard means you can easily transform the device from tablet to laptop, giving you the ultimate productivity wherever you go! Adjustable up to 150°, the unique watchband hinges allow you to find the most comfortable viewing angle for watching videos or typing. This impressive gadget of course comes with blazing-fast performance. Featuring an Intel Core i3 processor, the Lenovo Miix 510 will level up your productivity and creativity in an instant! Are you a student looking for a classroom-friendly budget laptop? If yes, you’ve come to the right place. 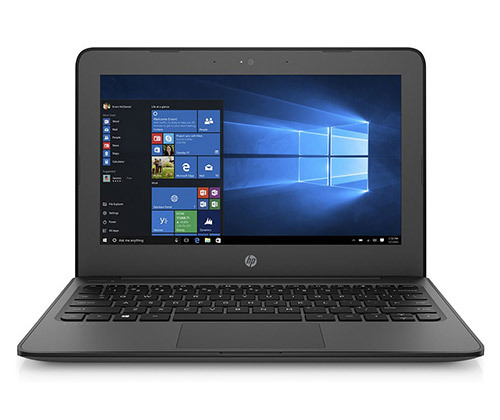 The HP Stream Pro 11 G3 is powered by a solid Intel Celeron N3060 dual-core processor, meaning it has no problem delivering the speed you need to get things done. The 64GB flash storage allows you to get to recently accessed files faster. With the crystal-clear HD display, you can make the most of your digital world. The 11.6” screen size is simply perfect for productivity and portability! Equipped with the HP TrueVision HD Webcam and an improved microphone, the laptop enables you to effectively collaborate with your classmates and excel at projects. 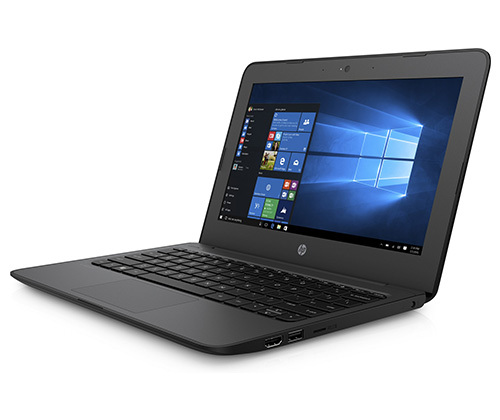 Lastly, thanks to the innovative fanless design, the HP Stream Pro 11 G3 runs quietly and helps keep classrooms focused! 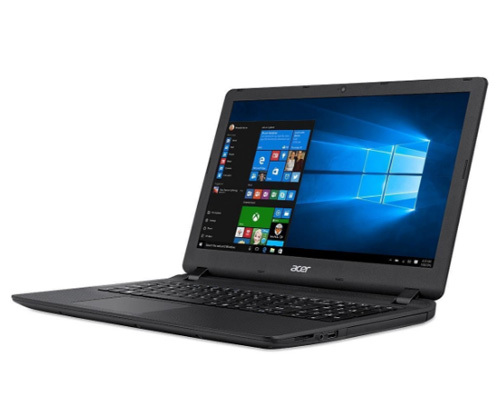 The Acer Aspire ES1-533 is a great value laptop that has got everything you need for everyday computing! Thanks to the Intel Pentium N4200 quad-core processor, the laptop runs smoothly and efficiently, allowing you to write emails, essays and get online whenever you want. The built-in Bluetooth connectivity means you don’t even have to plug suitable speakers or headphones in! With the mega 1TB hard disc drive, you can easily carry your documents and multimedia on the move. Featuring Acer BluelightShield, the device filters out harmful blue light from the screen so that eye strain is minimised during prolonged screen viewings. You can work for longer in absolutely comfort! Buying new laptops is a big decision, given how much they usually cost. You can relax with our list of the best laptops of 2018, which gives you all the great options no matter what you are looking for! Still unsure? Check out our full range of laptops here for even more options. Whether you are a blogger looking for the best assistant, or planning to start your blogging career, a reliable laptop is a must-have. Without one, a blogger won’t be able to do any work! The ideal laptop for bloggers does not have to be expensive. As long as it can handle your everyday blog writing, video editing and provide a stable all-time internet connection, the device ticks all the boxes. We are here to narrow down your search process by listing some of the best laptops for bloggers to buy in 2018. Read on to find the perfect laptop for yourself! 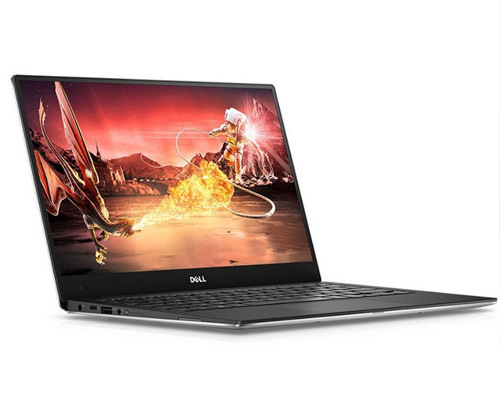 The powerful Dell XPS 13 9350 has a performance configuration that goes far beyond. Featuring a 6th Generation Intel Core i7 quad core processor with 16GB RAM, this laptop is more than sufficient to handle intensive video editing and frequent multitasking. The slim bezel contributes to an impressive screen size that makes video editing more enjoyable. 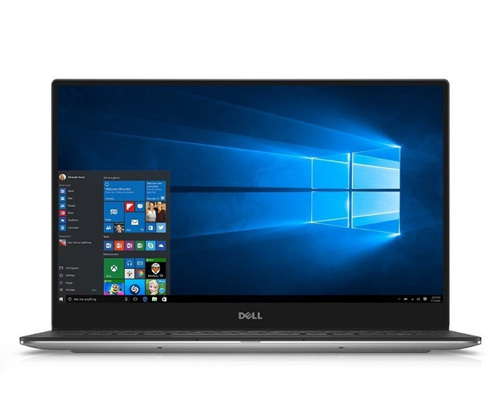 The Dell XPS 13 9350 is even greater if you’re a travel blogger – it’s so stunningly thin that you won’t have any problem sticking it in your bag for the day! Its brilliant display with a high colour gamut and contrast ratio allows you to work outside in the sunlight with ease. 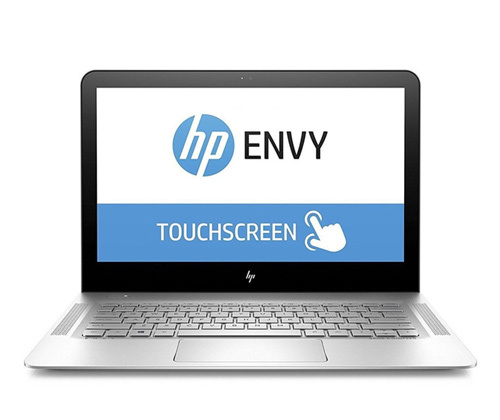 Powered by a high-performance Intel Core i7 processor, there is nothing the HP Envy 13-ab058na can’t handle. The laptop’s up to 14 hours of battery life and 8GB RAM makes it perfect for all blogging purposes. With a gorgeous 13.3’’ QHD display, the HP Envy 13-ab058na is ideal for video editing and multitasking with windows opened next to one another. The lifted hinge is especially blogger-friendly – it enables a more natural typing position so that you’ll stay comfortable doing a lot of typing and editing! Are you a blogger on a budget? 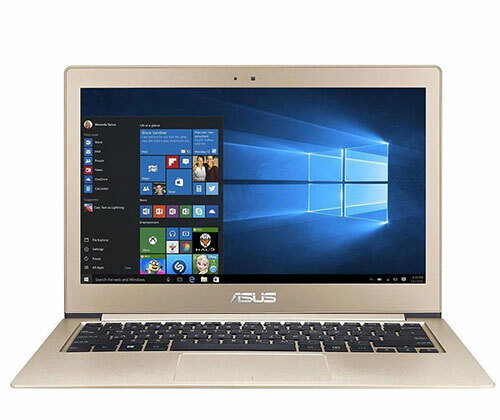 If yes, the ASUS VivoBook X540LA on our list of best laptops for bloggers to buy in 2018 is definitely your best bet. The smaller price tag of does not mean you’ll have to compromise on the features. It comes with an Intel Core i7 processor with 8GB RAM, meaning the laptop has enough power to handle your daily blogging, photo and video editing. Equipped with a reversible USB Type-C port, the device allows you to transfer a 2GB video to a USB drive in less than 2 seconds! The ASUS VivoBook X540LA also features round speakers that offer incredible low frequency performance and reduced noise. Together with the extra-large 19.4cc chamber that delivers superior bass and excellent sound clarity, this laptop is your perfect assistant when you’re recording voiceovers for your videos! The above devices on our fine-tuned list of best laptops for bloggers to buy in 2018 are all capable of handling multitasking and they’re available in affordable ranges. We hope we have helped you in picking up the ultimate laptop that suits your needs and budget. Happy blogging! Check out our full range of laptops here. For more helpful guides, top picks and tech related news, visit our blog. Black Friday may be over, but it’s not too late to get your hands on amazing tech discounts with Cyber Monday officially here. 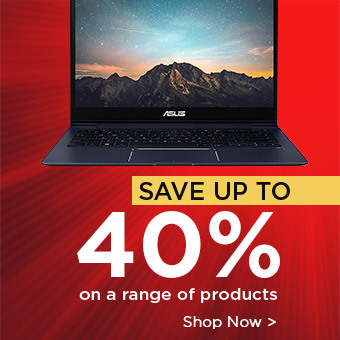 Looking to save on a new laptop? 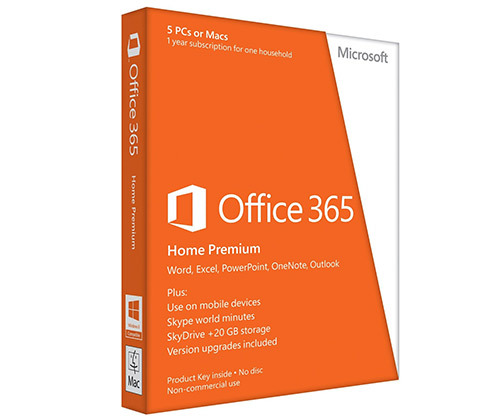 Get the lowest prices without compromising on high-quality specs. Our Black Friday 2017 and Cyber Monday 2017 sale includes laptops from leading manufacturers including Linx, HP, ASUS and Lenovo! 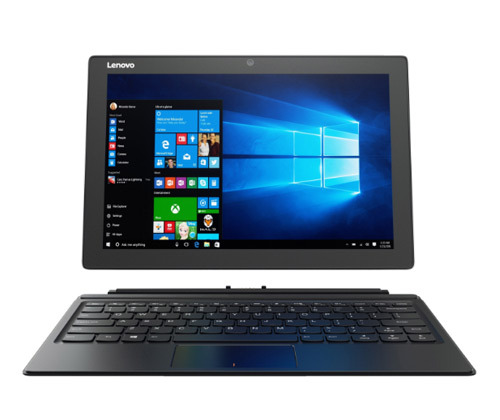 The Linx 10V32 is the ideal laptop for you if you’re looking for something affordable and practical. 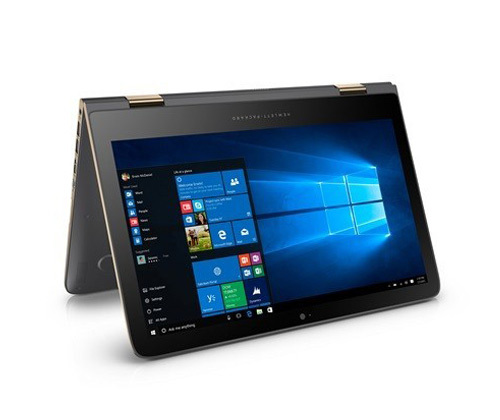 It features a quad-core Intel Atom x5 processor and Windows 10 Home which allows you to access your favourite games, apps and videos without any obstacles. The stunning 10.1’’ display is going to make your experience even better! Equipped with a full-size USB port, the Linx 10V32 saves you the trouble of having to get additional hubs and cables when connecting external devices to your laptop. Looking for your best companion in the classroom? The long-lasting battery of the HP Stream Pro 11 G3 is going to help all the hard-working students out there to remain productive on their assignments throughout the day. Its dual-core processors and 64 GB flash storage provides you the speed you need to have your tasks completed on time. With the innovative fanless design, the endless typing will be ultra-quiet! Always on the go? 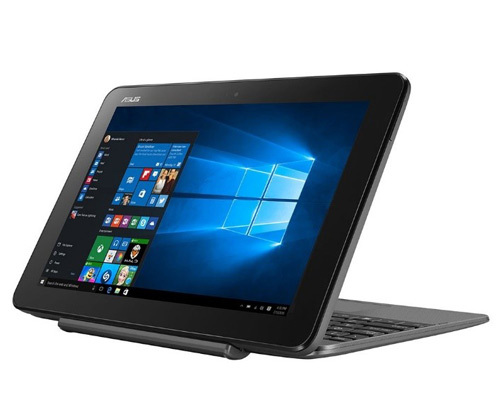 It can be annoying carrying both a tablet and a laptop; if that’s the case, the astounding 2-in-1 design of the ASUS Transformer Book T100HA is the ultimate solution for you. 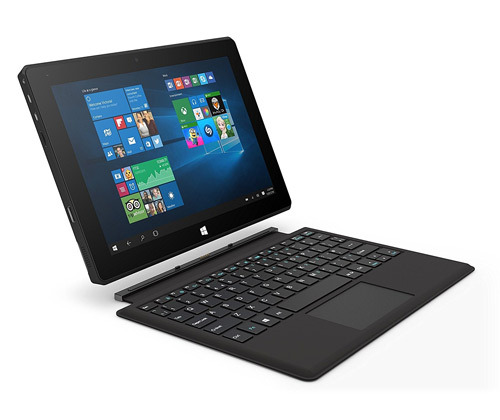 Simply detach the keyboard to turn the laptop into a slim, lightweight Windows 10 tablet. The up to 12-hour battery life makes the device even more incredible. The Type-C port, which is a lot more compact than the USB port does just as much but has the extra benefit of being reversible. This is definitely one of the best and cheapest laptops you can buy this Cyber Monday in the UK. 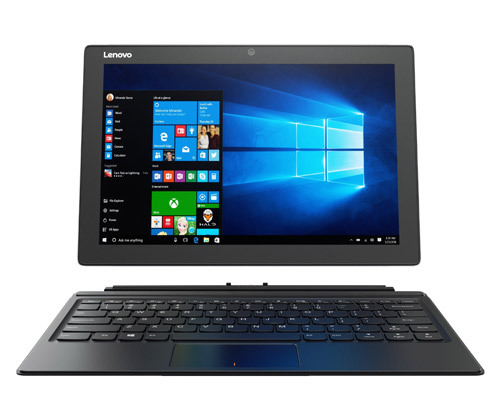 The Lenovo Miix 510 is one of the cheapest high-end laptops you can find this Cyber Monday 2017 in the UK. The integrated precision touchpad enables you to perform touches and clicks with the highest flexibility – you won’t ever want to go back to using a mouse! The 12.2” Full HD touchscreen gives you even more power to handle all sorts of tasks like creating and editing documents and pictures. To spice things up even more, the Lenovo Miix 510 is equipped with the latest Gen Intel Core i5 Processor, taking the power of the device to the next level. 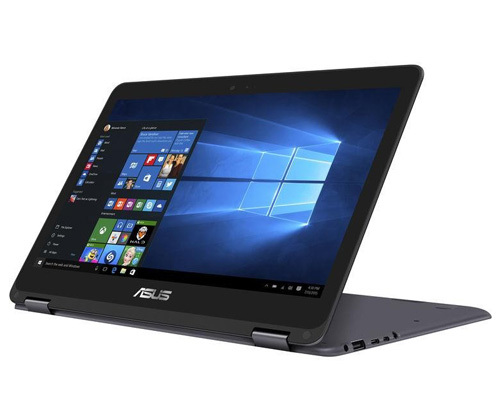 The ASUS Zenbook UX360CA is last but not least in our picks of where to buy the cheapest laptops this Cyber Monday 2017 in the UK. It’s a sophisticated laptop that would complement flawlessly with your tasteful lifestyle. The laptop’s chic, timeless appearance is completed with a zen-inspired pattern of concentric circles. Convert the laptop into a tablet with the user-friendly ZenBook Flip feature to provide yourself the perfect device for both work and play. Don’t miss out on your chance to get the best deals before Christmas! Still looking for Christmas presents? We’ve made the job easier for where to buy the cheapest laptops this Cyber Monday 2017 and Black Friday 2017 in the UK. Check out our full range of tech deals here. On the hunt for a stunning new laptop? It’s your lucky day! 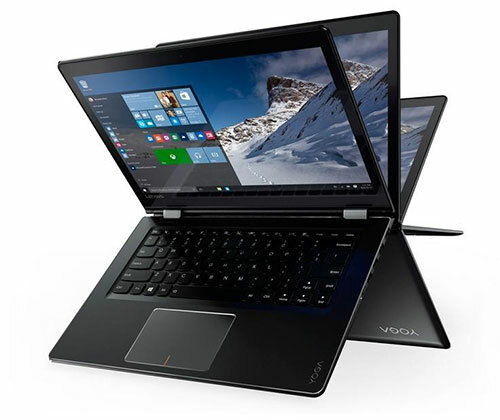 The Lenovo Yoga 300 11.6” touchscreen multimode laptop features a sleek 360-degree flip and fold design, and it’s ultra-portable so you can experience brilliant performance on the go, whether it’s for work or play. Watching movies in bed? Switch between the laptop and tablet mode in seconds, and enjoy the immersive audio experience with Dolby Home Theatre. Looking for a tablet with cinema-style entertainment? You can save £80 on the Lenovo Tab 2 in our Black Friday sale! Yes you read right. 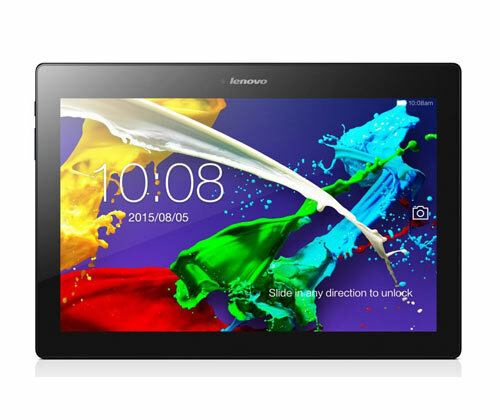 This Lenovo tablet features a HD multi-touch display and dual speakers with immersive Dolby Atmos audio. You won’t need to worry about charging either because it offers an impressive 10 hours of non-stop entertainment with the help of a huge 7000 mAh battery. 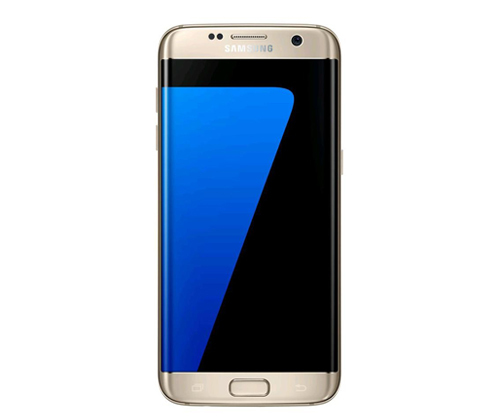 £80 off a stunning new smartphone? Yes please! 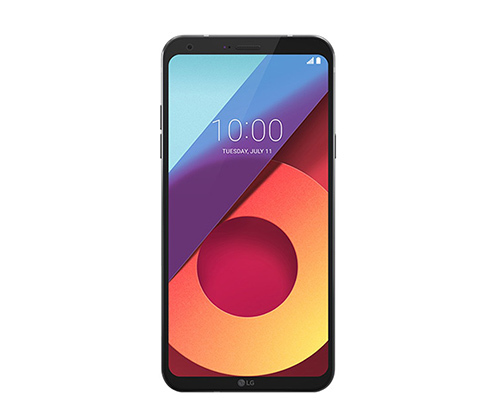 The LG Q6 perfectly combines portability with powerful software, with the help of an impressive Qualcomm Snapdragon 435 processor. The standout features of the LG Q6 are its 5.5″ IPS Full HD+ FullVision display and the camera, so if taking selfies is your main priority with a smartphone, this one’s for you! Love watching movies or playing games on your phone? The LG Q6 screen has 2160 x 1080 screen resolution so it provides a much more engaging user experience. 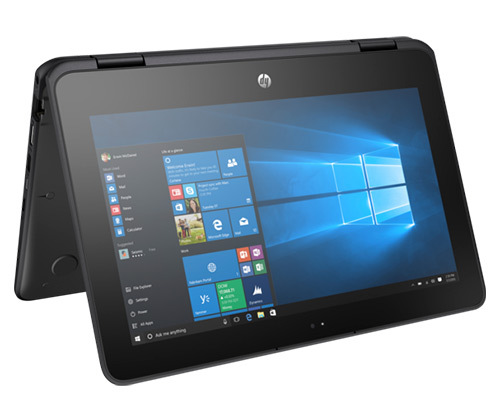 With an innovative fan-less design and flash memory, the HP Stream Pro 11 is a sleek laptop that facilitates cloud computing on the go. It features a crystal clear diagonal HD display with a range of other brilliant features, perfectly balancing productivity and portability. 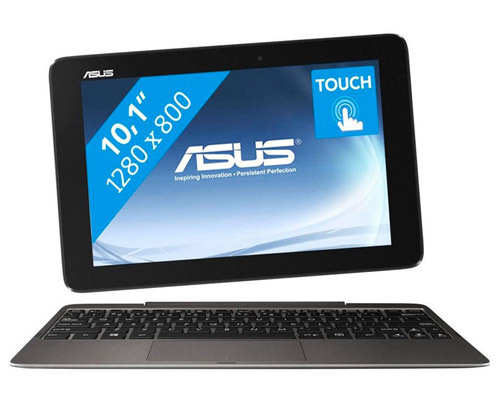 Get an impressive £52 off the incredible 2-in-1 ASUS Transformer Book in our Black Friday sale! It’s thinner and lighter than the original Transformer Book, and it’s got an impressive 12 hours of battery life so it sure won’t let you down! Featuring the latest quad-core Intel ‘Cherry Trail’ processor, so you’ll always have outstanding performance to look forward to when you use this device. We hope you enjoyed viewing just a few of the top deals in our huge Black Friday 2017 event. You can get your hands on the latest tech at up to 50% off this Black Friday 2017 and products will be added daily in our Black Friday sale, so you’ll be spoilt for choice! Shop our Black Friday 2017 and Cyber Monday 2017 offers here today. Starting university soon? It’s a big change, but here at Laptop Outlet we’re here to help! Between buying pot and pans and trying to find recipes for stuff that’ll take no more than 10 minutes to cook, tech is another hurdle to climb over. In the comfort of your house everything is there, but what exactly do you need and what isn’t a necessity? We’re here to walk you through the top tech essentials for students! First and foremost, quite possibly the most important- a laptop! Having a budget and limited room in halls, this will be your go-to device for everything, whether it’s ordering cheap take-out, doing research, writing up essays, gaming or watching films. We suggest you look into your course requirements and avoid making any hasty decisions. If your course requires more power-consuming and demanding software (graphic design, film, digital art etc) we suggest you go for a powerful processor- perhaps an i7 Intel processor. Alongside this, you’ll probably need a device with a higher than usual RAM and storage space, and most definitely more advanced graphics. So check what your area of study requires. What do you need? If you like to game and watch films, look into a laptop that is an all-rounder- great for work and play purposes. Study purposes only or entertainment too? How much do you store on your laptop? How much storage space do you need? 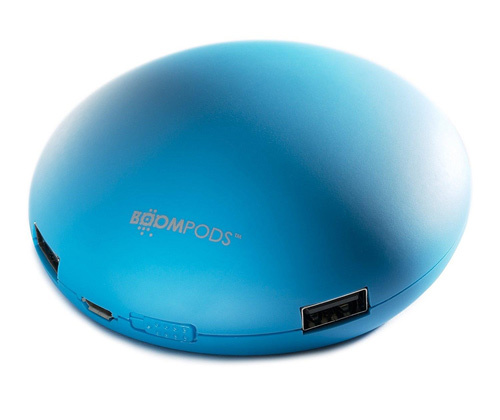 Portability, do you plan to travel with your laptop or work on the go? Aesthetics, do you want something that looks good? Check with your university to see if you’re eligible for funding or if you can be provided with a laptop during term time (e.g. low income household, disability allowance, grant). Part of the university experience is the social aspect. Whether it’s a chilled night with friends, getting ready for a night out, flat party or just jamming to your favourite tunes while cooking- a speaker is a must have. With loads to choose from, some are as cheap as a tenner! Depending on your needs pick something suited to your lifestyle. Portability? Do you want/need to take them out the house or not? How loud you like to listen to music? 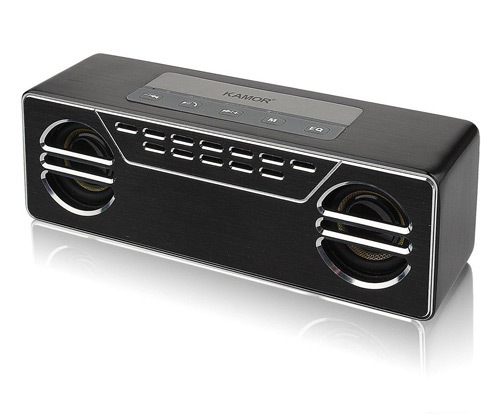 Do you need Bluetooth/wireless speakers? Do you want a multi-functional speaker? Perhaps one with a radio? Now this is an optional one. With tech advancement having been so great in the past decade, universities have jumped on the bandwagon of high-tech! So much of your work may be handed in electronically, so check with your course/module leader. If you’re a fan of typing up notes and printing them out when exam period hits, then consider investing in one. Or perhaps art and photography students might need to print pictures out? See if it’s an essential, if not don’t make the unnecessary purchase (that money could be used on cheap Chinese food!). Alongside this, all universities offer a printing service, it’s usually well priced; often 10p per A4 page. Do you have space for it? Is it essential for your course or could you manage with university printing? Photo printer so you stick them up in your room as decoration or to remember your favourite uni moments? Other than the obvious purpose of communication, you’ll be surprised how much your smartphone can help with education. Listening to audiobook can save you a tonne of time and money; they’re cheaper than physical copies and you can get through an entire book so much quicker. Something for all your necessary apps, space to snap photos through freshers and music. You might even need to use your phone for quickly looking over notes before a big test or organising your time and writing up to-do lists. Keep up to date with social media, with university events, needing Facebook, Instagram and Snapchat to connect with people; do you have a phone that can handle all of that? Screen size – Will you be using it to read lecture notes on or simply as a means of communication? It may seem like something unnecessary but if you need your phone all day and are used to constantly being on it- that combined with a full day of lectures could leave you with a dead battery. Something small and mighty can provide you with that extra power your phone needs to get through the day. However, this item isn’t a must-have for everyone, but do grab it if you need it! How long can your phone last? Your lecture schedule- if you have time between classes you can easily charge in a coffee shop or back at your room. 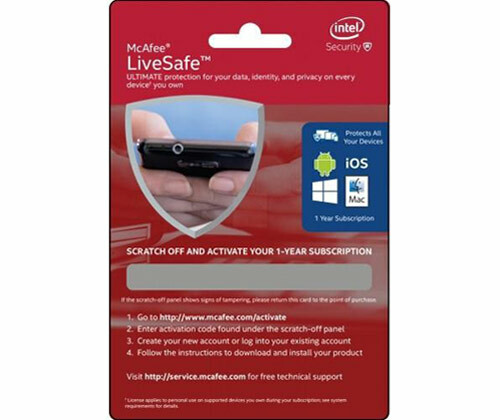 Believe it or not, this little guy might be your life saver at times. With last minute cramming and looming deadlines you can never anticipate when your laptop will crash, so saving your work on one of these little guys as you go along could prevent the loss of your essay on the Third Reich. If you’re working in the library, some students find online storage a hassle, so just save your work on this little guy and head on back to the flat, pop it in your laptop and resume work. How much storage you need. Whether you think you need it or not, make sure you have one to be on the safe side! A must-have for every student! Whether it’s essay writing or group presentation, this is a must have. Check with your university as they often offer this to students free or at a reduced price. As much as it may seem like a cost you’d rather avoid, this is absolutely essential. A virus could render your device obsolete and completely wreck it. Having had work and entertainment stored on your laptop, perhaps important passwords too, it’s absolutely vital you protect your device. Do you really want to lose your assignment 10 hours before a deadline? Alongside this, whilst Netflix is affordable, many choose to use the not so safe and legal websites to stream films and shows that come with a higher risk of such threats, so be prepared! So there you have it, our student tech essentials for university! We hope we’ve armed you with some good knowledge too. If you weren’t sure on what you needed, hopefully you know or have an idea now! We offer up to 15% off with Student Beans on selected student items, so check it out! For more helpful guides, top picks and tech related news- visit our blog. It’s that time of year again, students are impatiently awaiting A-level grades, returning university students prepare for the upcoming academic year- preparation to move out begins and so stocking up on university essentials gets kick started. The single most important thing to every student (other than a phone) is probably a laptop. With limited funds and space, you need something that works well for both work and play. Our number one tip of utmost importance is to get something that works for you. Before purchasing check your course content, the type of software/apps/programmes you’ll have to use, get something with enough storage for entertainment and study purposes and look for student discount! Here at Laptop Outlet, we offer a student discount of selected student laptops with Student Beans of up to 15%, so happy times for you! Without further ado, lets jump into our 5 best student laptops to buy in the UK! Thin and light- the ideal companion for taking notes in lectures and writing up essays or doing research in a coffee shop between classes. Alongside that, the fanless design ensures smooth and quiet use when out and about; you and others around won’t have to face the hassle of buzzing fan noises. If you love vibrancy this HP Stream is an ideal choice, it’s a refreshing shade of bright blue- a pleasant change from the dull greys and boring blacks. Every student needs a reservoir of revision tunes to get them through exam season, HP are generously offering unlimited radio playlist access for 12 months! This little guy is definitely deserving of its place in our top 5 best student laptops to buy in the UK. With up to 12 hours battery life, this is an ideal purchase for any student; from movie marathons to long journeys or working and playing out the house. If you plan to buy a laptop to last you through university, you’re probably looking for something with good entertainment features as well as work friendly so a convertible laptop might be a good choice. The 360-degree rotational hinges enable you to switch between tent, stand, tablet and laptop mode so you can tackle any task at hand with comfort and ease. 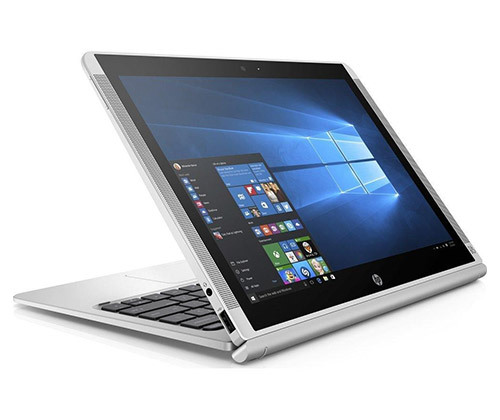 Weighing in at 1.12kg with the keyboard attached, this HP hybrid isn’t too much of a burden to travel with, so those who commute to university or like to work out the house- this convertible laptop might be for you. On top of that, this case is the perfect accessory and fit you’re your HP Pavilion. It comes with a bunch of pockets and compartments, so it’s the only bag you’ll need when travelling with your laptop as you can fit all your stuff inside! And of course- something for the gamers! 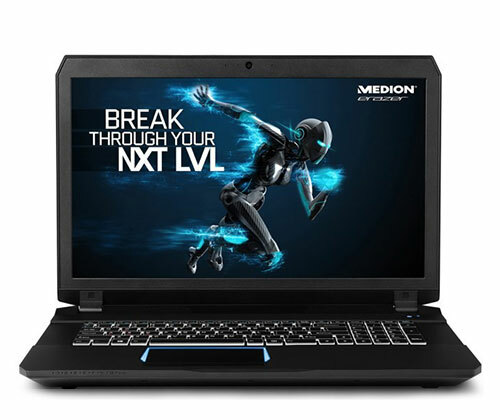 This super powerful Medion Erazer has everything you need for high-quality gaming, the 16GB RAM, 2TB storage and i7 processor ensures smooth sailing gaming; you needn’t fear losing battles due to buffering and slow reaction time or game crashes. The immense storage space, alongside external storage of 512GB, not only do you have space for gaming but you also have the capability of downloading numerous software and apps that you may need or want and save/run power draining programmes; so this device is an ideal choice for gamers and for those that study or dabble in digital art. This powerhouse of a laptop is most deserving of a spot in our 5 best student laptops to buy in the UK with all of its top of the range features which will make your purchase worthwhile. With a super powerful Intel core i7 processor and countless other high-end features we’re surprised to see the battery life stretch up to 7 hours! Work and play without the fuss of sitting by a plug or having to travel with tangled chargers. Ultra slim at only 3mm from the front, you can slip this Asus laptop in your bag-pack with ease. If you’re looking for something sleek and unique, you’ve met your match. Super slim and available in chic gold, you’ll have no issue adding a pop of colour walking into a room with this in your arms. For the unorganised, meet your personal assistant- Cortana. Forgot the date of the Russian revolution and when the Bolsheviks usurped state power for your History exam!? Ask Cortana, she’s got you covered. 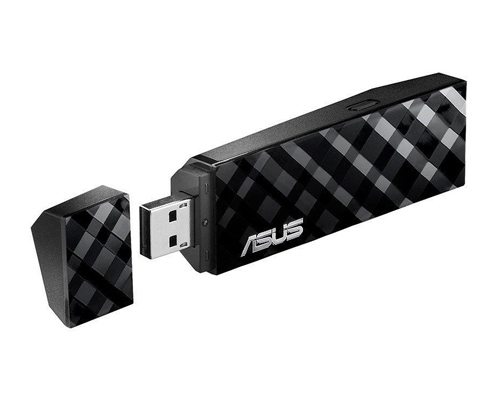 This tailored Asus black sleeve is a great travel accessory- look stylish whilst protecting your laptop from unwanted scratches. Up to 8 hours battery life, a 14” screen, AMD Radeon graphics, 1920 x 1080 resolution and tent mode provides you with the perfect movie marathon set up; a great choice for those living in halls with limited space. Enjoy stunning visuals, bold colours and sharp detail- it’ll feel like you’re in your favourite game and/or film. Dolby Audio maximises your sound experience, music and films are heard with immense clarity, you’ll never miss a beat to your favourite song or the slightest gust of soft wind in the tense moments of a horror film. Need to take your laptop to lectures for not taking? Fit your text book, notepad and laptop in this handy HP laptop bag– everything you need in one easy bag! So there you have it, our top 5 student laptops to buy in the UK! We tried to cover a range of brands and laptops with various features in order to make sure there’s something for every student; hopefully we’ve helped you reach a decision or at least given you a better idea of what you want/need. However, if you’re still undecided, have a look at our huge range of student laptops and you’ll most definitely find something you like! For more helpful top picks, reviews and tech related news- visit our blog.